Jim Henderson, our It’s Your Neighbourhood Assessor, made his first visit to our site today. 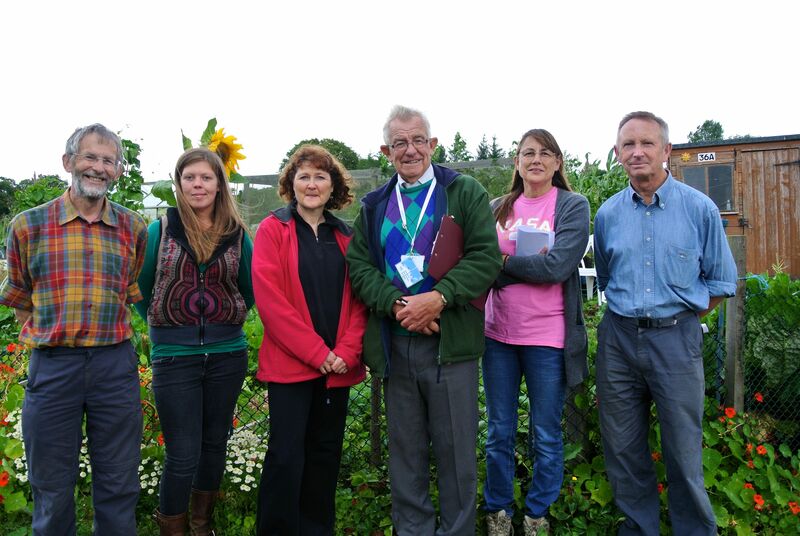 Luckily, the rain held off for his visit and all involved enjoyed our wee walk around the plots and site. Jim is a very experienced plotter himself and proved to be full of good stories and ideas which he was very willing to share with us. 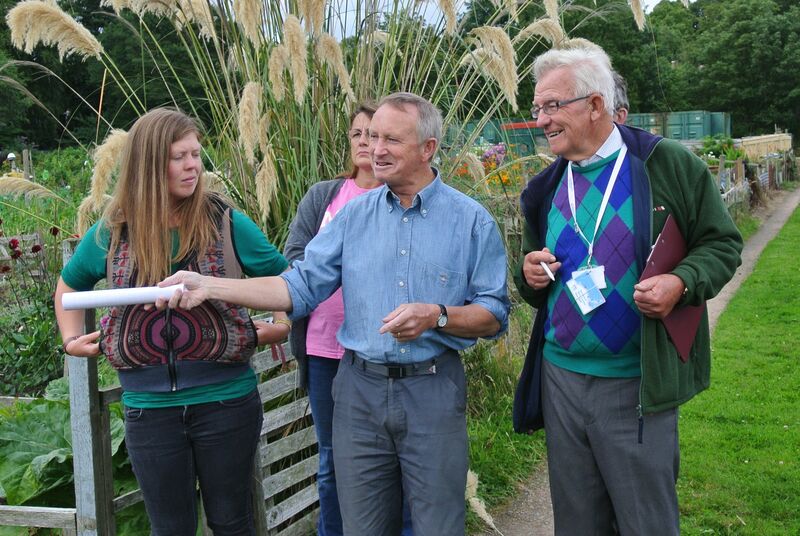 It was very useful to find out how other plot sites do things and where they find support for their projects and developments. Jim spent more than an hour with us and left saying how much he had enjoyed his visit. He will deliver his judgement on our efforts in due course. Fingers crossed!